Zig Ziglar once said: “People often say that motivation doesn’t last. 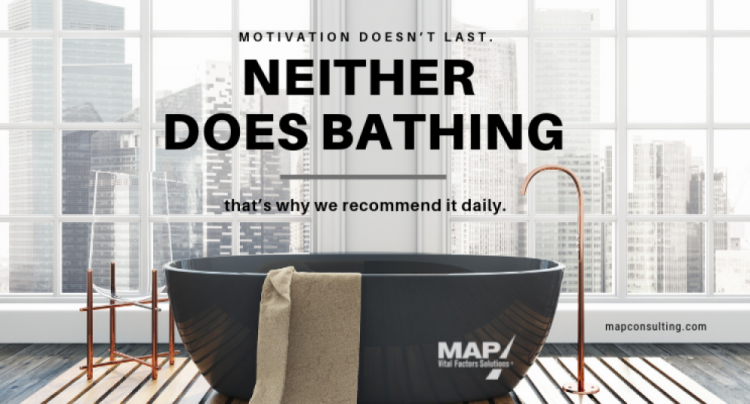 Well, neither does bathing — that’s why we recommend it daily.” And he couldn’t be more right! Recognizing and motivating people for doing a good job is so easy to do yet it’s even easier to not do it. However, to effectively lead, you’ve got to look at motivation as a strategy for getting results and build in daily activities that support this discipline. Start with the attitude that motivating employees is a priority worth honoring each and every day. By staying consistent about how and when you motivate, you’ll build a culture of people who are more engaged and enthusiastic about their jobs. 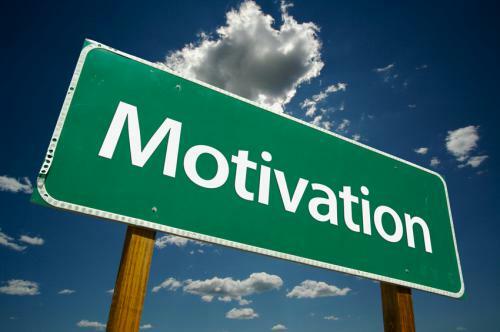 Build “motivator” into your leadership style. When people think of your leadership style, do they think of you as a motivator? If not, they should. It takes work and effort to be this sort of leader, but by making the commitment to motivate others daily, your habits and you will become one in the same. Set a daily goal. At the start of your day, perhaps on your commute to work or while you’re washing your hair in the shower, think about ways you can motivate those around you. 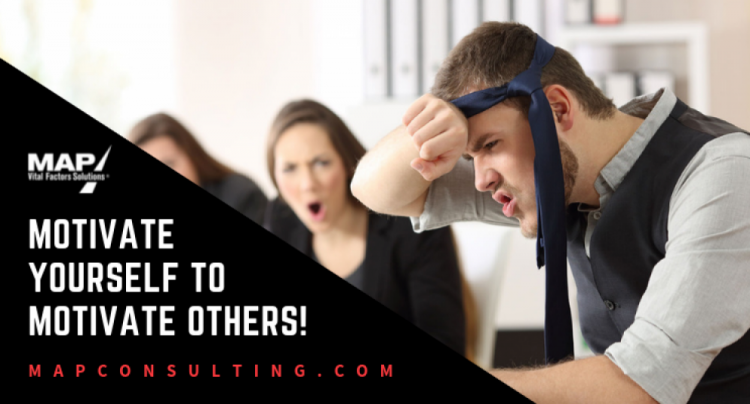 What’s going to kick your people into high gear, feeling good about themselves, thinking in fresh, productive ways, or achieving their maximum potential? Make it your daily goal to determine how many ways you can make this positive difference — as well as how many people you can affect — then get busy figuring out the fun part, or “the how” you’re going to achieve it. Stick with it. Motivation isn’t some kind of medicine that can provide a quick fix. 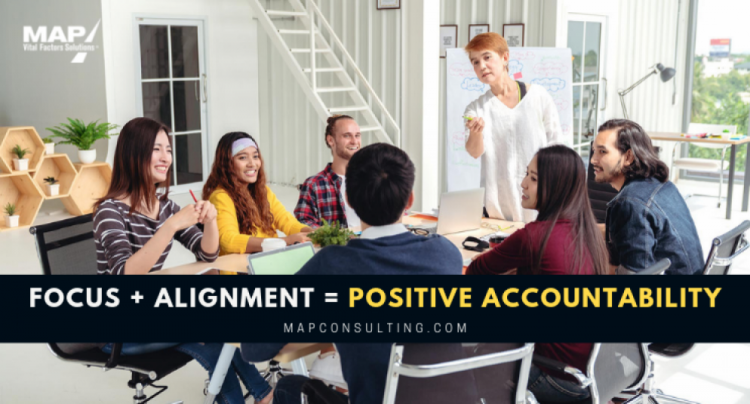 For it to be effective, you’ve got to use it like a daily vitamin, something that’s going to create wellness, instill balance, maximize productivity and deliver tangible results over time among those you lead. That means you’ve got to relentlessly motivate in the bad times as well as the good times. As with all your strategies for growth and goal achievement, stay the course and you’ll reap the rewards. Keep your people up and going by showing them that you won't be deterred or derailed even when things get tough. Do this and not only will you fuel the engine that keeps your organization going, but you’ll also boost your odds of building a legacy as someone who really knows how to motivate. What are some small ways to motivate that can have a big impact and make the daily habit of motivational leadership easier to adopt?